Our work days move faster and faster. The phone’s ringing, the e-mail’s pinging, and someone has just dashed in waiving something important! It’s overwhelming. All we want is some peace and quiet so we can focus on getting something done. But how? 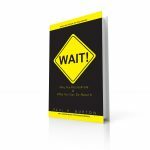 This book gives you 24 simple to implement suggestions each one of which will give you a greater sense of control over your day. Get some sanity back now! The workplace grows more global every day. Others work while we sleep. This program delivers eighteen ways we can leverage our distributed work environments, continue to get our work done, and demonstrate leadership regardless of our title or position. Attend this program if you’d like to lean in and participate in the future of working. The work world continues to accelerate. Keeping up with the demands on our time gets harder and harder. Done…Again, the sequel to Done, delivers ten new ways to make the most of your day. Ever wonder why you procrastinate? Does it impact your work and life? Would you like to do it less? This engaging, quiz-based program will arm you with facts and fixes to help you procrastinate less and get more done. Is your Inbox in critical condition? Does it need rescuing? 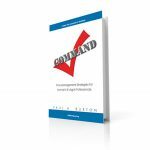 This book will help you regain command of your email and save you and your Inbox from being overwhelmed. You will be happier and more productive. Now, that’s true work/life balance! E-mail is the boon of the modern world and the bane for most of us working in it. We love the way we can communicate with it, but we hate the way e-mails stack up in our inbox. The truth is that we couldn’t do our jobs effectively without e-mail, so we need to find ways to make better use of this amazing tool. This book delivers twelve suggestions for how to harness the power of e-mail and reduce the unnecessary distractions and distress it can cause. Moving from individual contributor to manager requires a new set of skills. This program focuses on the four C’s of success as a manager: Consideration, Collaboration, Communication, and Coordination. Leaders are fundamentally charged with getting things done – being productive. To do this, we have to understand that time is every organization’s most valuable asset. When leaders spend their time focused on the right goals, engaged in the right activities, and with the right people, they produce the Waterfall Effect. The Waterfall Effect is the benefits that cascade down through the organization, into the community, and out to the customer/client base. This book focuses on the six principles for productive leadership. Pressed for time? Want to manage time better? Isn’t that the irony of all ironies? Here’s the solution: Bite-Sized eBooklets. 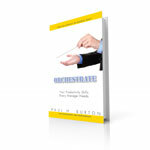 These single-subject ebooklets target one topic from a tactical and a strategic point of view. In fifteen minutes, you’ll have added to your skill sets and be ready to make the most of your day. Download one. Download them all. They’re only $1.99 each!